That was the key message shared by Nelson Mandela Metropolitan University Chancellor Santie Botha – one of South Africa’s most successful businesswomen and, at 49, the youngest chancellor at any South African university – in a talk on leadership to NMMU’s brightest students recently. 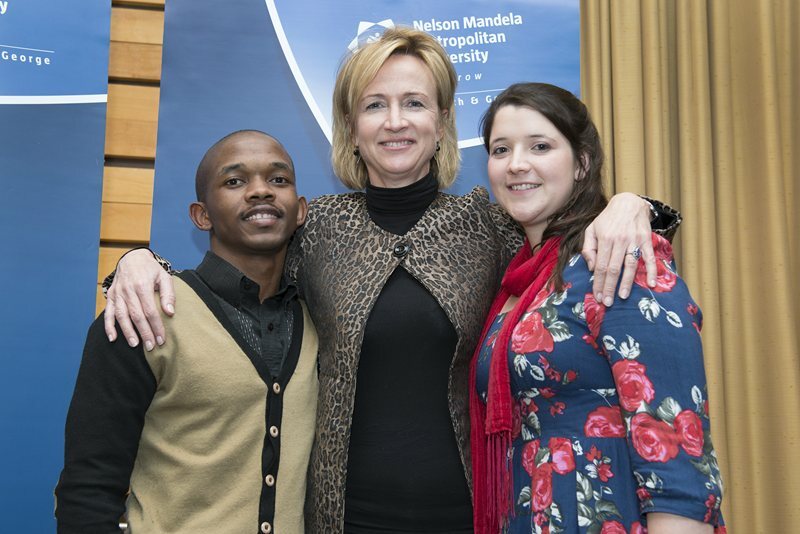 Botha’s talk was a highlight on the leadership development programme tailor-made by the university for the 79 academically-selected students, who are recipients of NMMU’s prestigious Vice-Chancellor’s Scholarships. The former group executive director of Absa is perhaps best known as the marketing guru behind the 2010 success of MTN and its Ayoba brand campaign, which saw the telecoms giant become the only African global sponsor of the 2010 FIFA World Cup. Today, Botha is chairman of Curro Holdings, the parent company of Curro private schools. She is also the chairman of Famous Brands as well as a non-executive director of Tiger Brands, Telkom and Liberty Holdings. In 2012, the Intellidex “Rich List” placed her among South Africa’s top 10 richest women. In her talk on Tuesday night (22 July), she shared an example of agility in action – which was Tesla Motors’ head Elon Musk announcing to the world that he would set the company’s patents [for electric cars] free. Rather than holding on to patents, as most companies do, Musk’s motivation was to accelerate the electric vehicle industry by allowing people to build on existing information. In addition to agility, Botha said curiosity and honesty were also vital for leadership success. She said the ability to communicate clearly – and the ability to actively listen – was also critical. Advising the students on how to get a head-start in the corporate world, she said: “You have to survey the landscape you’re in and identify the top achievers – and then you have to find a way to be part of their teams. If you work in a deadbeat team that doesn’t have the ideals of changing the business or the world, move quickly, or you won’t go anywhere … My personal biggest victories were when my people excelled. BUSINESS GURU … Nelson Mandela Metropolitan University Chancellor Santie Botha, a leading South African businesswoman, shares leadership advice with first-year engineering student Sinakho Calata (left) and fourth-year education student Tarryn Lovemore.